NTU Nanyang Business School is renowned for its commitment to cultivating exceptional business leaders for Asia and other regions. The school’s strong team of faculty members is comprised of 200 professional experts and scholars, particularly prominent in the areas of accounting, commercial and financial studies, known to be the best in today’s academic arena. The school’s excellent curriculum and rich management experience have rendered it the first and only school in Singapore to receive both EQUIS and AACSB accreditations. 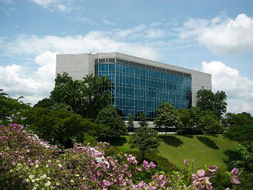 As Asia’s top business school yet with global perspectives, Nanyang Business School has tight collaborative relationships with 60 international universities including Carnegie Mellon University (USA) for jointly offering a masters program in financial engineering, and Massachusetts Institute of Technology Institute (USA) for joint MBA courses, and Cornell University (USA) for joint masters program in hotel management, as well as Waseda University (Japan) for jointly offering technology management graduate courses.